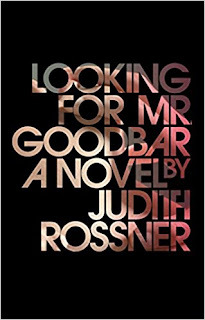 The current foreign policy of the United States is a little reminiscent of Looking for Mr. Goodbar. You might remember the l975 Judith Rossner bestseller, based on a real story, about a young woman coming to a tragic end barhopping in Manhattan’s singles scene. Usually an administration will come forth with a cohesive policy, with soubriquets, whether they be “the domino theory,” “spheres of influence” or “strategic containment,” which create parameters that both allies and adversaries can employ in negotiations. But the Trump White House has embarked on what feels like a series of one-night stands. First there was the love affair with Macron, which turned sour when the U.S. rejected the Iran nuclear deal, then the disastrous G-7 summit after which Trump found himself literally in the embrace of Kim Jong-un—on the rebound as it were. If the past antics of the North Korean regime are an indicator, the young despot will have his way with an old man, then blow him off, having achieved a coveted notch in his belt. He'll be the first North Korean leader who's actually been validated and recognized by a sitting American president. But for all his bravado will the American leader find that he falls victim to the three L’s having been loved, laid and left?